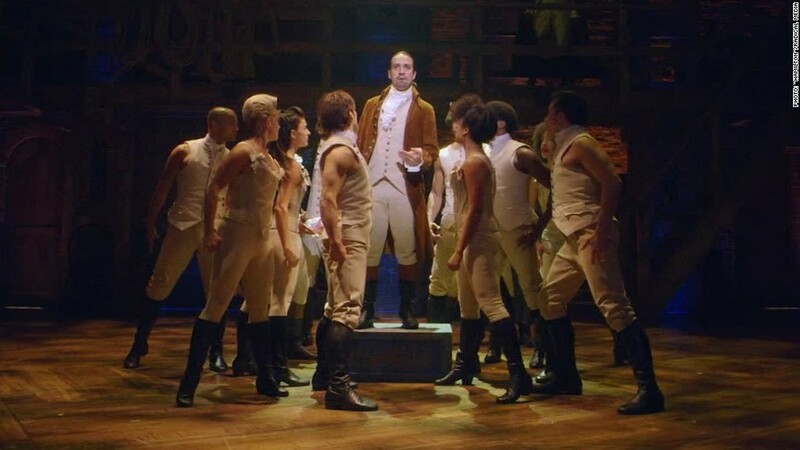 Does 'Hamilton' have a shot with overseas audiences? And you thought it was hard to get "Hamilton" tickets before. The cost of tickets have more than doubled to a starting price of $1,592 Friday on the ticket selling site StubHub. Prices zoomed a day after The Hollywood Reporter said that star and creator Lin-Manuel Miranda was leaving the production on July 9. The highest asking price that CNNMoney could find on the site for the July 9 night show is $9,975 for a second row seat in the orchestra. The retail price for tickets range from $85 to $300, but were selling on StubHub Thursday morning for $772. Miranda's camp has declined to confirm that the star, who plays Hamilton, is leaving on that date. "Hamilton," a hip hop musical about Founding Father Alexander Hamilton and the American Revolution, has long been the toughest ticket in town. 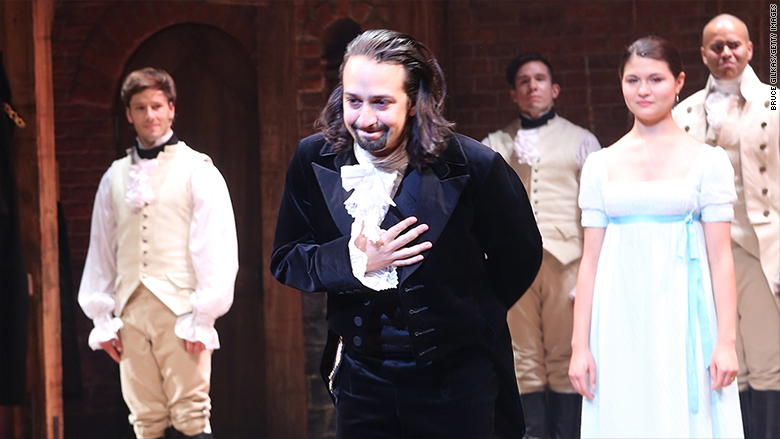 Lin-Manuel Miranda's possible upcoming exit has caused tickets to skyrocket for his reported last performance. The show has won a Grammy and a Pulitzer Prize. It is also nominated for a record-breaking 16 nominations at next week's Tony Awards. The high price tickets are nothing new for the sold out show, and according to New York Times Theater critic Ben Brantley the high price may be just be worth it. "I am loath to tell people to mortgage their houses and lease their children to acquire tickets to a hit Broadway show," wrote Brantley is his review of the show. "But 'Hamilton'... might just about be worth it."